The Quad-X ATV Sweeper is innovatively designed to make yard upkeep easier. It is a very light yet strong machine, suitable for 4 wheel drive quads. 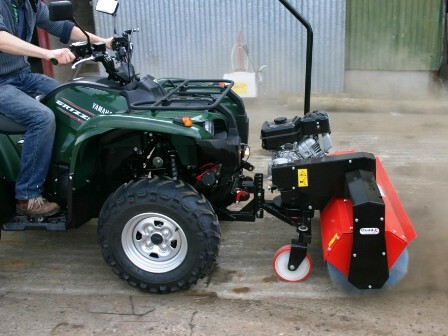 It can clear large areas in no time, ideal for road cleaning after crop removal from field. It fixes to the underside of almost all ATVs and does not affect your ground clearance. It can be used with numerous Quad-X attachments such as the power sweeper and front bucket. Quick release clips allow easy attachment / removal of the front accessories in seconds. (Power sweeper may require additional assistance). 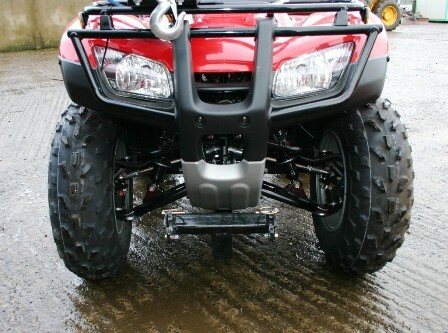 These front mount systems should fit onto most quads.